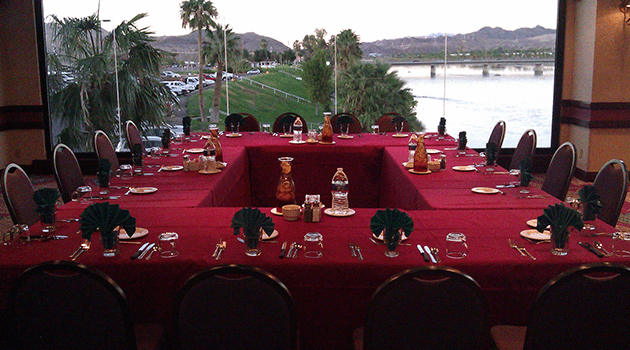 Riverside Resort Wedding packages have been created to match your dreams and stay on budget. 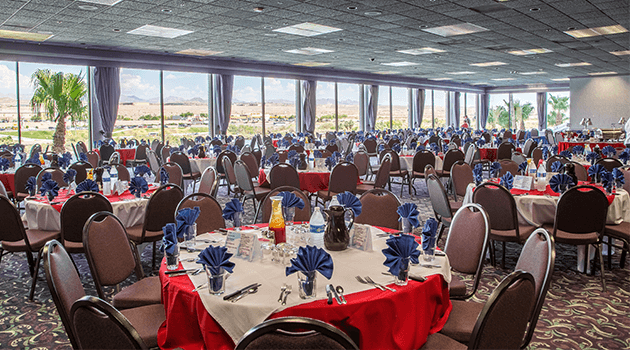 The USS Riverside is pleased to offer three unique wedding packages for your special day! 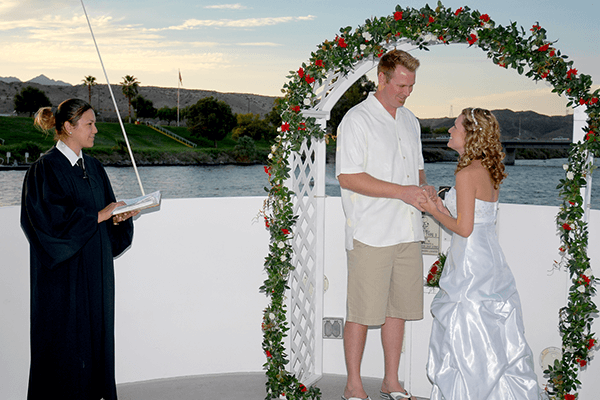 You will set sail with your wedding guests on the USS Riverside where your wedding ceremony will be set against the back drop of the beautiful Colorado River. 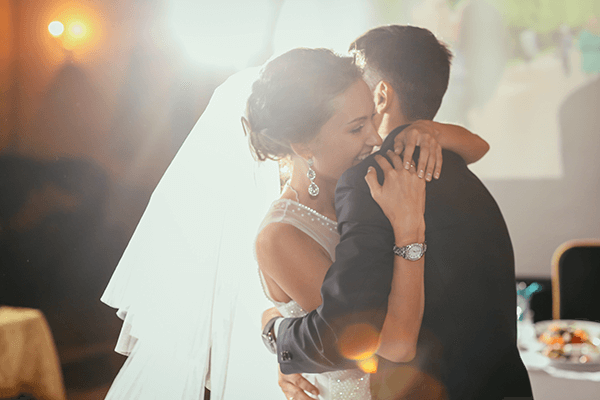 We look forward to making your wedding day a day to cherish. 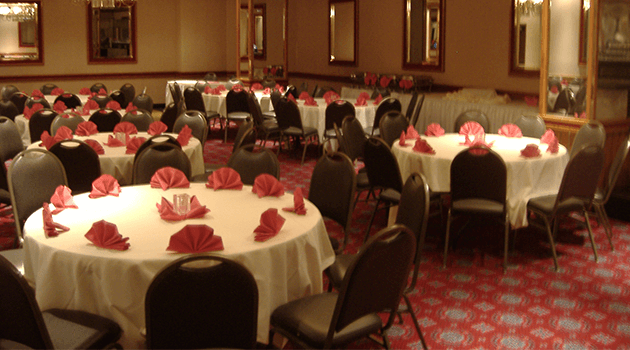 This beautiful room is approximately 8,000 square feet and can accommodate up to 450 guests. 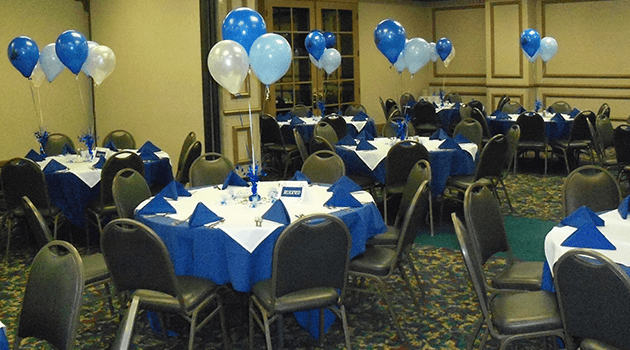 The Mirror Room is available for parties up to 60 guests and is approximately 1,700 square feet. This room is approximately 1,080 square feet and will seat up to 50 guests. Wonderful meeting, training space. Each room is approximately 884 square feet; all three rooms combined will seat 120 guests. Great for conferences with break-out sessions. Please contact our Wedding Coordinator at 1.888.733.5824 to get started on your ideal wedding!